Misty Mate's 16 oz. 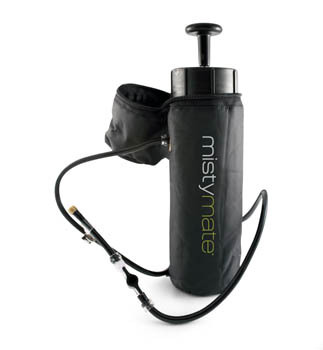 Pump Mister is not only a great way to mist your bird, but the larger capacity makes it an ideal personal mister, too. This mister would also be a great choice for owners with more than one bird. Note: This mister does not come with bird-themed packaging but don't let that confuse you ... it performs the same great functions as the smaller 10 oz. Bird Mister. The Misty Mate Bird Mister creates a gentle super-fine mist that birds love!